A month after being appointed as Malawi national football team head coach and assistant coach respectively, Ernest Mtawali and Nsanzurwimo Ramadhan have finally put pen to paper on a one year contract with Malawi government. 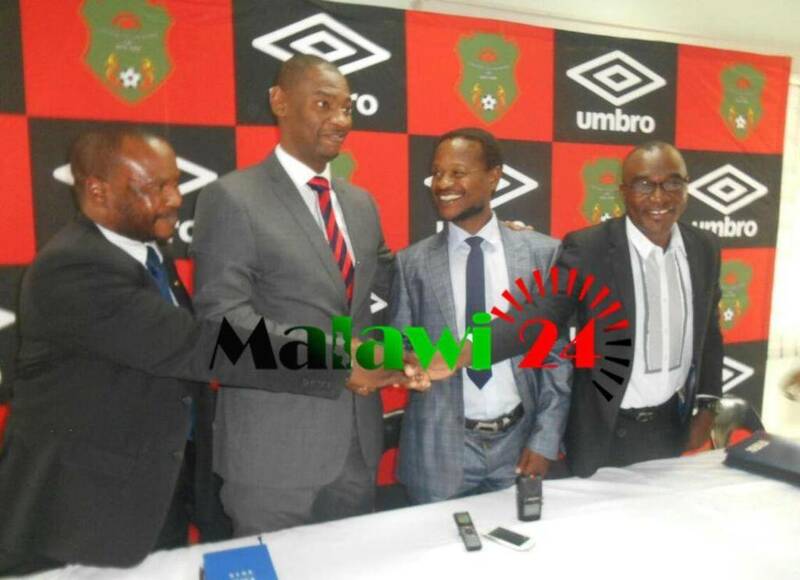 Government officials and the Football Association of Malawi (FAM) officials were rocked in a meeting on Thursday morning together with the two coaches in which the contracts were signed. Confirming the development to the media, FAM’ general secretary Suzgo Nyirenda said the contracts started on 1 August but there was a delay because they had to become civil servants. Mtawali and Ramadhan have landed a one year deal each. “The contracts started running soon after naming them as the head coach and assistant coach respectively but there was need for them to become civil servants in order to sign the contracts with government. “They will be paid arrears and we are happy that at last, government through the Sports Ministry came to our offices enabling the two coaches to sign the contracts,” he said. On his part, Mtawali was delighted with the development. “I am very happy to have finally signed the contract. I will use this advantage to build a team which will dominate for the next ten years,” he said. Mtawali and Ramadhan were hired by FAM on 1 August to replace former Flames head coach Young Chimodzi and his deputy Jack Chamangwana who were fired following the team’s 2-1 loss at home to Zimbabwe in the 2017 African Cup of Nations qualifier in July. According to the Fa, the contracts will be renewed based on the results within the one year period. Yachuluka cz ife ndi okwiya ndi selection yake.ndiye mutiziwa bwino mmene timasapotela pa nyexpaja atisova. Ndinu boma?mmaziika pati kodi?zampira zomwezi?idont know kuti mmaganiza bwanji-tiyeni nazo. Iwed wanena zoona,akuimisidwa ma nurse owona zamoyo wamunthu ndiye tikakamile izizi.kuwononga ndalamatu. How much ar each of them going to reciev per month coz wth Kinna Phiri we were imformed abot his wages, saraly and so on..waiting…. ma draw omwewa mpaka ma contract kkkkk mlw gvt!!! hahaha,,yonseyo?,,safikatu 1 year’tu awa,,mangawa ake akupangikawa?,,hahahaha,,munakongowapatsa 5 months basi.